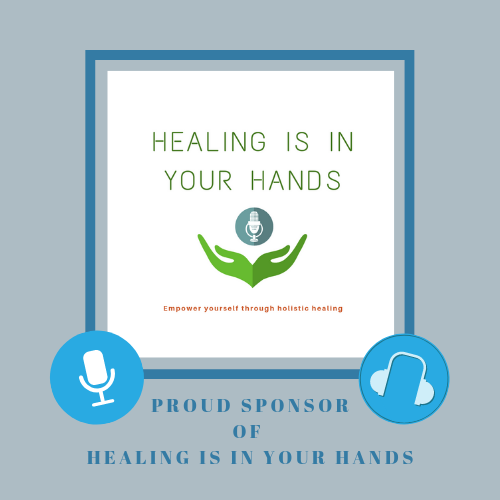 Dr. Ming Wu of the Wu Healing Center is excited to announce that he is a proud sponsor of the podcast “Healing Is In Your Hands”, which is a collaboration of Kim Fleck and Erik Harris. We recommend that you explore this unique and informative wellness podcast and empower yourself through holistic healing. It’s time to take back your power! Please join the hosts Erik Harris & Kim Fleck, as they share their stories, laugh, educate, inspire, and provide you with tools and information so you can make informed wellness decisions in your life, and put the healing power back in your hands. This podcast program offers information about various holistic therapies, meaning the whole person is considered -- body, mind, spirit, and emotions. This podcast program also offers engaging segments like meditative moment, healthy lifestyle tips, distance healing and more. Invited guests will share their expertise, stories, and insight into many aspects of holistic healing, and tools that worked for them. Tune in! Here is the link to their latest episode "Is This Soup For You? Bone Broth as Medicine”. Check it out! Bone broth - a bone-based soup simmered on low heat for a very long time - plays an important role in Traditional Chinese Medicine, and in hosts Kim Fleck and Erik Harris' healing journeys. Kim and Erik discuss Chinese Medicine theory, sourcing ethically produced and clean foods, selecting herbs, and setting intentions. Kim speaks about her commitment to animal advocacy and her struggle with accepting a necessary meat product into her diet. Plus, a live cooking demonstration and a meditation performed over the soup. To learn more about Erik’s work with herbs and wild foraging, check out episode 3: Fall Forage Walk. Visit Erik’s website, chiforhealing.com to browse his herbal formulas.